We’d all like to have a place to call our own. But space – or the lack of it – is fast becoming an issue, particularly in major cities. 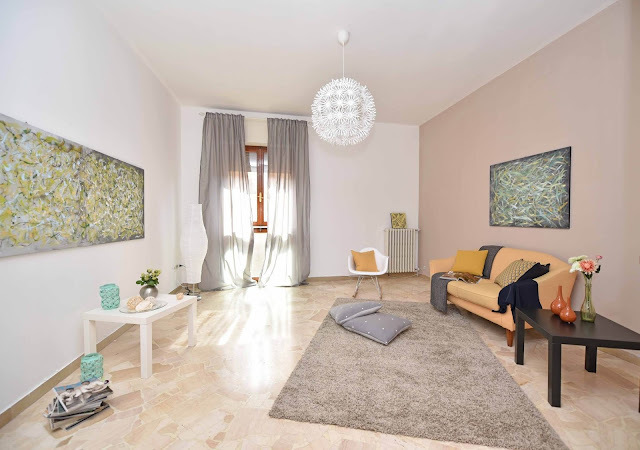 If you don’t intend to have the traditional home design, the kind you fill up with creative or futuristic furniture, and fantasy-themed bedrooms, then you can try the minimalistic design style. This works perfectly when it comes to the small homes in Singapore such as the HDB in Toa Payoh. Minimalism is a style that can make an interior design look comfortable, modern and convenient. And of course, all of these features can be achieved with minimal use of furniture and accessories. 1. Creating illusion of space. Choose the right colors and make the right combinations of colors. Light colored walls make your apartment space feel airy and larger in size. Darker colors on the other hand give the reverse effect by absorbing light. Warm white paint on walls for instance, brightens things up; making the most of natural light. It also makes the ceiling seem even taller. If you're lucky to have high ceilings, enhance them using tone-on-tone colors on the ceiling, walls, and trim. Even a tiny space feels larger when it has a lot of headroom. Avoid wooden paneling or wall papers with large patterns on the walls as they give the room an appearance of being smaller in size than it actually is. Interior designers often employ the 20-80 principle while designing minimalist interiors where a space has 20% furniture and the rest is left free. 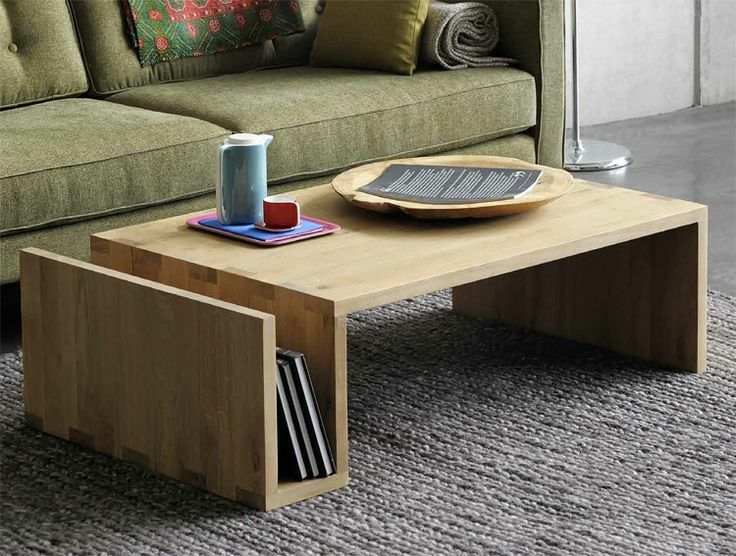 Simple geometric shapes and functionality are the most important criteria in choosing minimalist style furniture. Also, minimalist furniture is compact and can often be found to be dual functional. Get a bed with storage options including those with drawers and built-in storage compartments inside. When designing a space, think about all the ways it can be used. One common example is the kitchen island – a workspace that can also be designed to accommodate family dinners. Suddenly you have the option to say goodbye to your kitchen table – and hello to a less cluttered, more expansive space. Another example is the contemporary sleeper sofa that incorporates a futon for both seating and sleeping. You can get more examples on how to multi-task in small spaces in this article. Mirrors are among the most effective ways of combating poky apartment space. They will bounce light to dark corners, create the illusion of door where there are none, and appear double the size of your apartment space. To make small apartment places feel larger, hang a large mirror in a central location to create a focal point. To reflect light and add a nice ambiance, put it behind a light source such as a candle or pendant lamp. If possible, position a mirror across from your window so it will reflect the view and give the illusion of another window. You don’t want to line up several pieces of furniture in your living area just for your photos, souvenirs, and knick-knacks. Get a floor-to-ceiling storage cabinet. This can store everything from your books to your precious collection. For your kitchen or pantry, look for an open, multi-purpose shelving piece to store goods, pots, and pans. Take your cabinets to the ceiling. Ensure continuity in spaces such as your kitchen with built-in appliances. A bulky chrome box for example, will create striking discontinuity next to kitchen cabinetry, so consider choosing built in appliances to give a seamless effect throughout the room. Organization is key in any kitchen, so any opportunity to convert unused space into storage is one worth investing in. It’ll add value to your home and keep things clean and organized. It may seem like a small thing, but in a really narrow galley kitchen, it’s easy to knock into bulky knobs and handles. Keep things feeling and looking sleek by choosing slender, minimalist pulls. High-gloss cabinets and proper lighting help to open up the tight kitchen. Think about all the things you do in a space - work, sleep, relax, eat - and then establish separate zones for those activities. Subtle demarcations can help the space feel a little larger. You can evoke "rooms" with multiple seating areas, a tented or curtained bed, a window seat or built-in banquette, or even just a smartly placed table and chair. 9. 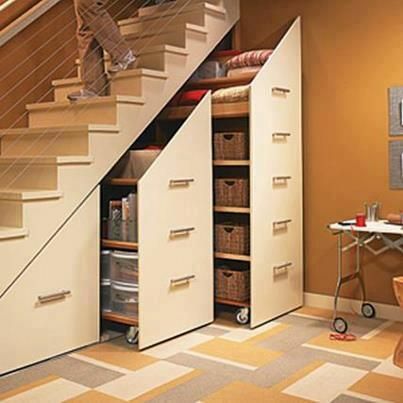 Utilize the space under the stairs. Make the most of unused space under your stairs by incorporating everything from quirky accessories to storage. If you have apartment space issues, then turn the nimble spot under your stairs into a warm and cozy living space. Internal doors and cupboard doors can eat into valuable space and, sometimes, removing a door altogether is a great solution – eliminate the swing! If that’s not an option, sliding doors work really well to give function back to one square meter. Every centimeter counts. Simple spaces need not be bland with solid white or black or a neutral color. There’s room to play with colors, as long as balance, proportion and harmony are observed. The same goes for textures and patterns—both best kept in the details of your decor pieces. 12. Hang your draperies as high as you can. Here's a little designer secret: The hands-down easiest way to make ceilings look higher is to place a drapery rod really close to the ceiling-roughly 2 inches below the crown molding will do the trick. While you’re at it, be sure to extend the rod at least 4 inches on either side of the window so that the window appears wider- and allows more light. 13. Declutter your apartment space. No matter how small your space is, or how hard it is to get around your apartment or to find a place for something new around, there is always a solution to everything. Just look around you and you will notice at least 2-3 things that can be cleared to keep things simple. A simple life is easier to enjoy, so is a simple home. It's important to note that you can embrace a minimalist design on your apartment without completely abandoning your lifestyle. All minimalism asks is that you pare down your furnishings and only keep the most special, necessary ones. It realigns the focal point of a room to the space between things, rather than the things themselves. It goes beyond simplicity: each component of this design is deliberate and essential, having a unique purpose and function. I love mirrors they always make the room look bigger.